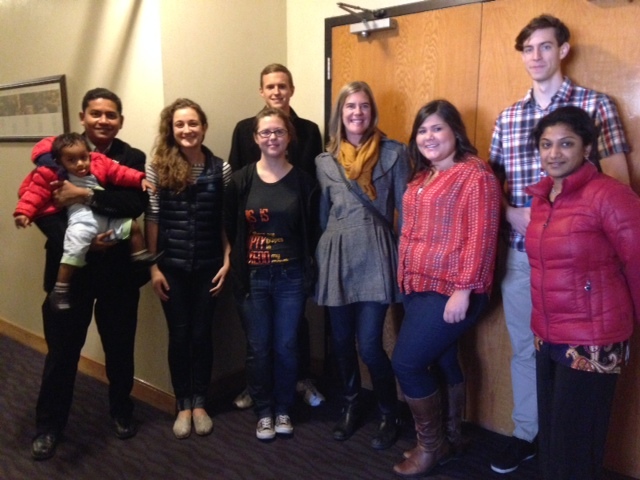 The Landscape Architecture | Regional & Community Planning Department hosted several guest on campus this past semester. Each guest that visited enriched the department’s general intellect and cultural life. The department truly appreciates the time that was taken to speak with faculty, staff and students during each visit. Alumni and friends of the department serving on the LA | RCP Advisory Council play an important role in our department’s growth and development. The 2013 Council convened on campus Sept. 25-Sept. 27 to meet with faculty and students to provide feedback and support. The LA l RCP Alumni Honorees were on campus Nov. 7-8 to meet with students and faculty. 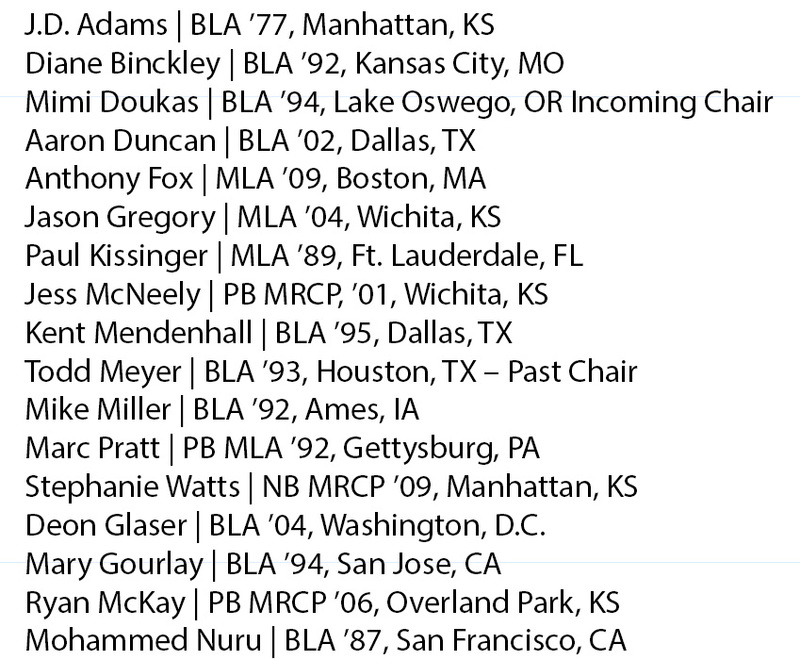 Alumni Honorees are selected by the faculty to be honored for their professional success ten years after graduation. This year’s 2013 RCP Alumni Honorees were Manjula Boyina and Diwakar Vadapalli, both from Anchorage, Alaska. Manjula is with the Alaska Department of Commerce, Community and Economic Development. Diwakar is on the faculty of the University of Alaska. Their son, Siddharth, joined us for the celebrations. The 2013 LA Alumni Honoree was Elena Vossmann Scott, Summit County, Colo. Elena is a Principal with Norris Design. 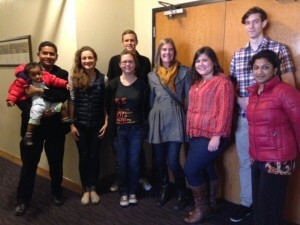 During the visit Boyina, Vadapalli and Scott visited several classes to present to students, had lunch with Student Planning Association and American Society of Landscape Architects student chapter officers, toured the Chang Gallery and met with current faculty. Congratulations to our three honorees and thank you for visiting us!